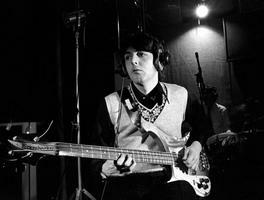 On Sunday February 11, 1968, the Beatles were booked into Abbey Road studio to film a promotional video for the song Lady Madonna which they had completed a few days earlier. 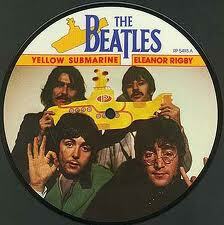 But John Lennon had a new song and he wanted to show it to the group. 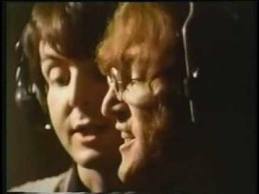 So interestingly, as the cameras rolled for the Lady Madonna video, the Beatles rehearsed and recorded John’s new song, which would eventually would be titled Hey Bulldog. John had begun writing the song with the idea of submitting it for the animated Yellow Submarine film which was in pre production at the time. He worked on it in his home studio, here is a clip from an early demo. The original Lady Madonna promo video, now available on the internet, and now synced with the Hey Bulldog recording, clearly shows that’s what they were really working on that day in the studio. 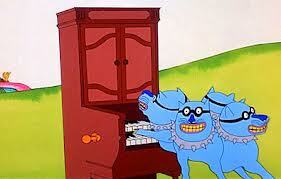 Hey Bulldog was rehearsed and recorded quickly with no reduction mixes, or bouncing in today's vernacular. Everything was done on one 4 track tape recorder. Recorded and mixed in one ten hour session, astonishing by today's standards. The group was in high spirits that night knowing that they were going on an extended trip to India in a few days to study transcendental meditation. Also, because it was Sunday, there was an even more relaxed feel than usual as the studio complex was deserted and they could wander the halls as they pleased. After the 10th and final take of the rhythm track, which included all four Beatles playing onto one track, everyone was hungry so assistant Mal Evans was sent to the canteen for food. He returned with baked beans on toast, a favorite of George and in the beginning of the video he can be seen enjoying the hastily presented meal. They proceeded to fill the remaining three tracks with fuzz bass, a beautifully executed guitar solo by Harrison, as he used one of his new distortion boxes, a track with Lennon and McCartney singing together, respectively lead and harmony, and the final track for Lennon to double track his vocal. As per usual the boys extended the ending and ad libbed various vocal lines and funny sounds. 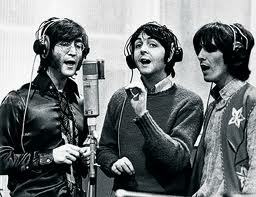 The idea of bulldog was not thought of until Paul cracked everyone up by barking in the end adlibs. John mentions bullfrog in the lyric, but the title became bulldog. 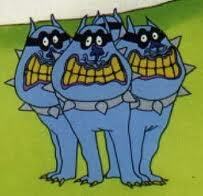 Hey Bulldog was included in the Yellow Submarine film with an accompanying sequence of animated dogs. This section of the film, although included in the British version, was cut for the American audience as the powers that be thought that American audiences would become bored at the length of the film. As of 1999 it was restored in the US theatrical release, and subsequent DVD releases.